Pontedera, 28 July 2017 – At a meeting today chaired by Roberto Colaninno, the Board of Directors of Piaggio & C. S.p.A. examined and approved the interim report on operations for the six months to 30 June 2017. Compared with the first half of 2016, Piaggio Group performance in the first half of 2017 was positive, with a strong improvement and a reduction in debt. Group consolidated net sales in the first half of 2017 totalled 725.3 million euro, an improvement of 2.7% from 706.5 million euro at 30 June 2016. The industrial gross margin at 30 June 2017 was 227.9 million euro, up by 5.3% from 216.4 million euro in the year-earlier period. The return on net sales was 31.4% (30.6% in the first half of 2016). Operating expense sustained in the first half of 2017 amounted to 174.9 million euro, an increase of 6.3 million euro from the year-earlier figure, generated largely by the rise in amortisation and depreciation. Net of amortisation and depreciation, operating expense in the first half was down 1.1% from the year-earlier period. The income-statement figures described above produced consolidated Ebitda of 114 million euro, the best half-year figure of the last five years (since H1 2012), with a 12.3% improvement from 101.5 million euro in the first half to 30 June 2016. The Ebitda margin was 15.7%, the best half-year performance to date (14.4% at 30 June 2016). EBIT at 30 June 2017 was 53 million euro, an increase of 10.9% (47.8 million euro in the first half of 2016). The EBIT margin was 7.3% (6.8% at 30 June 2016). For the first half of 2017, the Piaggio Group posted profit before tax of 36.5 million euro, up 21.4% compared with 30 million euro in the first half of 2016. Income tax for the period was 15.3 million euro, with an impact on pre-tax profit of 42%. The Piaggio Group closed the first half of 2017 with net profit of 21.1 million euro, an increase of 17.4% compared with 18 million euro in the first half of 2016. Cash flows in the first half of 2017 totalled 40.8 million euro, the best first-half result since 2008 (18.2 million euro in the first half of 2016). Net financial debt at 30 June 2017 stood at 450.2 million euro, an improvement of 40.8 million euro from 491 million euro at 31 December 2016 and of 29.7 million euro from 479.9 million euro at 30 June 2016. Group shareholders' equity at 30 June 2017 was 391.1 million euro (393.7 million euro at 31 December 2016). Piaggio Group capital expenditure in the first half of 2017 amounted to 38.8 million euro (47 million euro in the year-earlier period), of which 24.2 million euro for R&D expenditure (25 million euro in H1 2016) and approximately 14.6 million euro for property, plant and equipment, investment property and intangible assets (approximately 22 million euro in H1 2016). The total workforce of the Piaggio Group at 30 June 2017 numbered 6,584 employees. The Group’s Italian employees numbered 3,496, substantially unchanged from the year-earlier period. In the first six months of 2017, the Piaggio Group sold 280,700 vehicles worldwide, an increase of 1.4% from 276,700 in the year-earlier period. At geographical level, the sales growth in the EMEA and the Americas areas (+5.8%) more than counterbalanced the decreases reported in India (-2.2% due to slower sales of commercial vehicles mainly as a result of the Indian Government's demonetisation policy) and in Asia Pacific (-4.4%), although the latter area is making a healthy recovery. 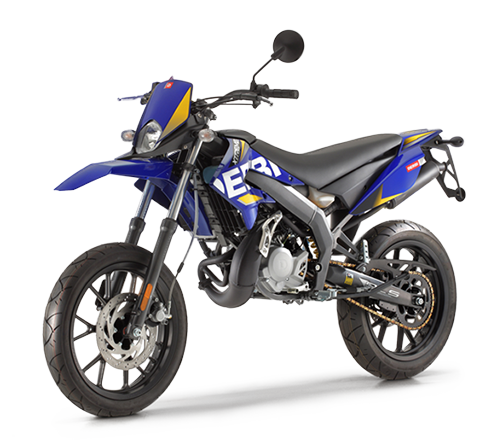 In the first half of 2017, the Group sold 202,100 two-wheelers worldwide (up 11% from 182,100 in the year-earlier period), generating net sales of 541.7 million euro, an improvement of 6.8% from 507.4 million euro in the first half of 2016. The figure includes spares and accessories, on which turnover totalled 67.3 million euro, an increase of 3.8% from the year-earlier period. In the first half of 2017 the Piaggio Group continued to strengthen its presence on the European two-wheeler market, with an overall market share of 14.8% (14.8% also in the first half of 2016), rising to 26.1% (26% in the year-earlier period) in the scooter sector alone. 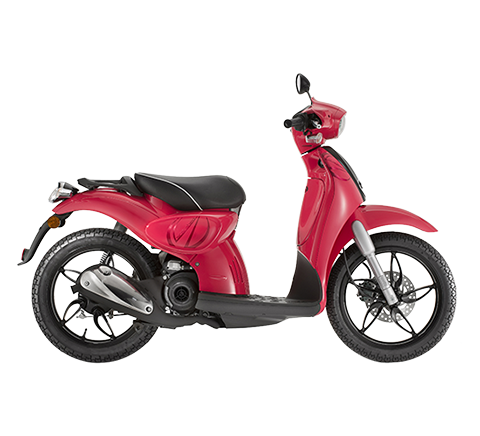 The Group maintained a particularly strong presence on the North American scooter market, with a share of 19.1%; it is also committed to strengthening its position in motorcycles in North America. 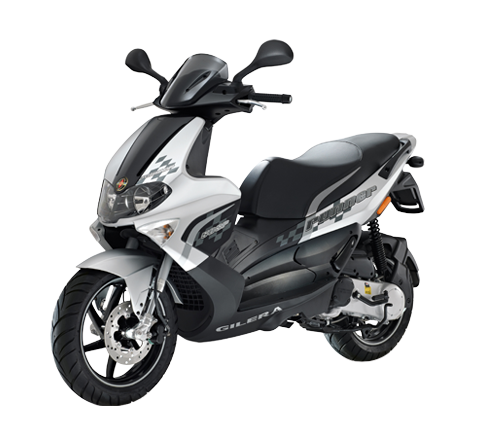 On the Indian two-wheeler market, the Group almost doubled its sales volumes from the year-earlier period, thanks to the introduction of the new Aprilia SR 150 scooter, which has been very warmly received. Analysing performance in Asia Pacific, Vietnam reported a decline in scooter sales volumes, while the Group expanded its offer in Thailand through its recent entry on to the motorcycle market with the introduction of the Aprilia and Moto Guzzi brands, flanking the already well-established scooter offer with the Vespa and Piaggio brands. Highlights in the scooter sector included the excellent results of the Vespa brand, which boosted worldwide sales by 9.3% from the first half of 2016, and strengthened its presence on the EMEA market, with net sales growth of 16.4%, and in Asia, with net sales growth of 11.1%. Performance was also positive in high-wheel scooters, where the Group reported revenue growth at global level, largely thanks to the new Liberty and to the Beverly. Still in the scooter sector, the Aprilia brand also performed well, especially on the Indian market thanks to the Aprilia SR 150 sports scooter, which has been very well received. Performance was strong in the Group motorcycle sector too, with sales growth for the Aprilia brand, generated in particular by the naked models of the Tuono family and the excellent response to the new super sports model RSV4 1000, which achieved an increase of more than 20% in part as a result of the strong return in terms of performance and image from Aprilia's participation in the world MotoGP championship. 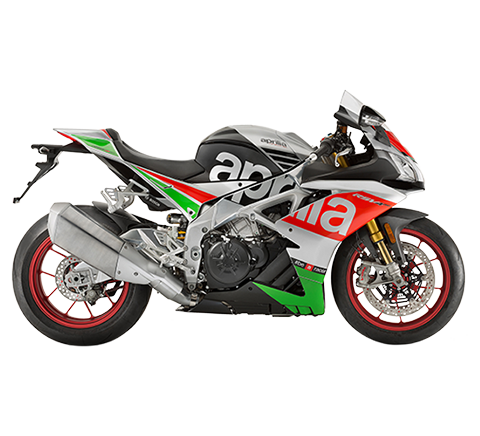 In the second half of the year, Aprilia will also benefit from sales of the new Aprilia Shiver 900 and Dorsoduro 900, launched on the market in June 2017. 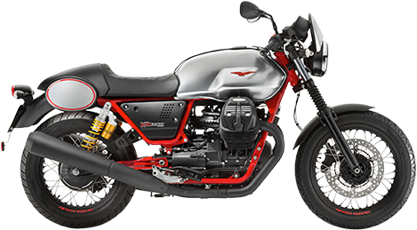 Revenue increased at Moto Guzzi, driven specifically by the California range and the V7 motorbikes, whose fiftieth anniversary this year has been marked with an ad hoc model. In the commercial vehicles sector, the Group sold 78,700 vehicles (94,700 in the first half of 2016) for net sales of 183.6 million euro (199.1 million euro in the first half to 30 June 2016). The figure includes spares and accessories, where sales totalled 22.6 million euro (22.4 million euro at 30 June 2016). Although demand on the Indian market for three-wheel commercial vehicles is still falling, the PVPL subsidiary had an overall share of 30.7% (28.3% in the first half of 2016) and confirmed its leadership in the Cargo segment with a market share of 49.4%. An important international development program is being rolled out for commercial vehicles in 2017, beginning with the recent strengthening of the Group's presence in the high-potential markets of Latin America, Africa and Asia and the extension of the distribution network to 23 countries. In the first six months of 2017 the PVPL production hub also exported 8,600 commercial vehicles worldwide. These sales arose in part in the EMEA and Americas areas and in part in the India area, in connection with responsibility for management of the individual markets. In February 2017, in Boston, PFF presented its first innovative projects, GITA and KILO, two smart vehicles designed to improve mobility productivity in today's increasingly complex urban environments. GITA and KILO observe, communicate and assist, with a payload of up to 100 kg and a range of 20 km in an urban setting. They accompany the user, map their surroundings and monitor other moving objects. Their technology also enables them to move independently. On 29 May, at the 2017 MITX Awards (an important annual technology and innovation award in America), Piaggio Fast Forward (PFF) won the award in the Disruptive Genius – Company category for distinction “in unconventional innovative thinking, being the first to explore new frontiers and promoting the innovation economy through its operations”. On 12 June the new Piaggio Porter 700 was presented in India; this modern, versatile vehicle is a revolutionary model in India, suitable both for last-mile deliveries and for intercity travel. On the same occasion, the appointment of Diego Graffi as CEO of the Indian subsidiary, PVPL, was announced. 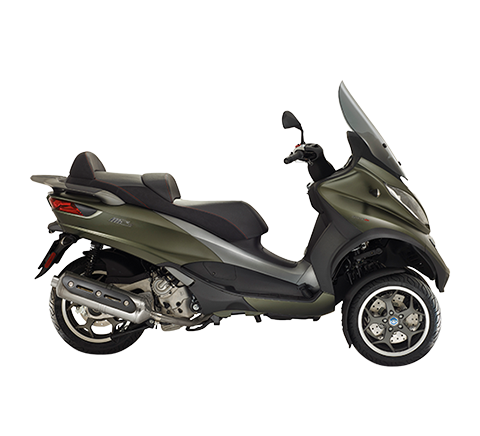 On 13 June the Piaggio Group announced that Aprilia had been named as Italy’s most innovative company in the Motorcycle/Scooter category. The recognition came from the German Quality and Finance Institute, which awards its distinguished “TOP INNOVATIVE COMPANY” quality seals every year, based on a survey comparing the direct opinions of hundreds of thousands of Italian consumers about their purchase experiences. Also on 13 June, the new naked Aprilia Shiver 900 and the new supermotard Aprilia Dorsoduro 900 were presented in Trento. On 28 June the Piaggio Group (see press release of 3 July) issued a 30 million euro long-term bond underwritten by Fondo Sviluppo Export, a fund initiated by SACE (CDP Group) and managed by Amundi SGR. The bond is intended for institutional investors and will provide support for the Piaggio Group international growth plan. 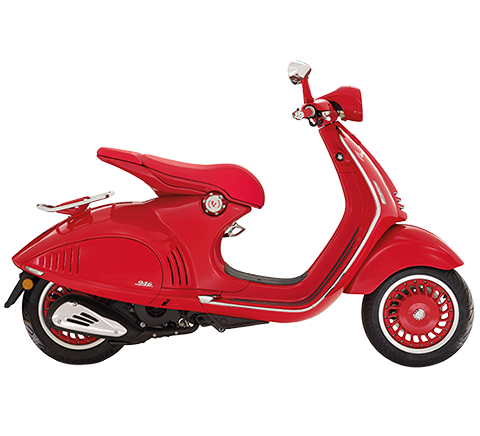 On 11 July, the exclusive Vespa Sei Giorni scooter was launched in a numbered limited edition, as a ‘descendant’ of the original eponymous Vespa Sport “Sei Giorni” of 1951. A model with a large steel frame, the scooter was developed from the Vespa GTS 300cc Euro 4 two-wheeler. The presentation of the financial results as at and for the six months ended 30 June 2017, which will be illustrated during a conference call with financial analysts, is available on the corporate website at www.piaggiogroup.com/it/investor and on the “eMarket Storage” authorised storage mechanism on the website www.emarketstorage.com. The Piaggio Group consolidated income statement, consolidated statement of financial position and consolidated statement of cash flows as at and for the six months ended 30 June 2017 are set out below. To date, the limited audit of the condensed interim consolidated financial statements as at and for the six months ended 30 June 2017 has not yet been completed.